W Sergeant, specially compiled for match and tournament players. 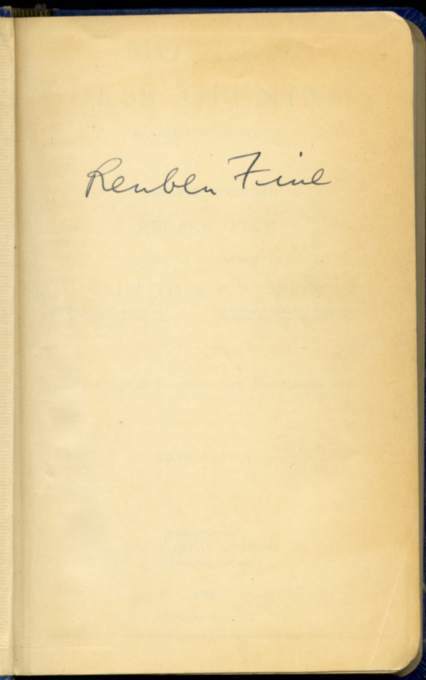 [Signed by Ruben Fine] (Betts: 12-134) 6th edition. 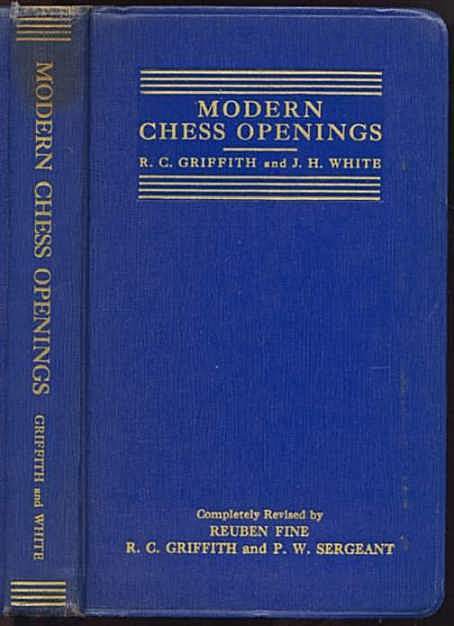 First edition published in 1911, previous edition 1932. Revised and enlarged with 32 additional pages and 1215 columns of analysis compared with 1060 in the 5th edition. 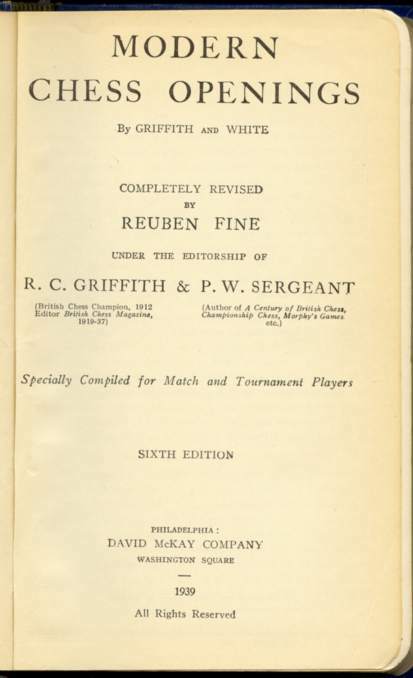 Includes material from games played up to 1938. The use of addenda and 'starred' variations to indicate the best lines, had been abandoned; evaluation of variations is indicated in this edition by a system of symbols. Openings are arranged alphabetically. Moderate rubbing to spine ends, previous owner's stamp on front paste down. A very good copy lacking dust jacket.